Overall, Ontario appears to be a success story in terms of the recruitment and settlement of immigrants. But a closer look at data from the 2016 census reveals that this success is strikingly uneven. This is the key finding from the latest report in Mowat’s A Different Ontario series. Toronto stands out as a global leader in immigration. This risks diverting attention away from the real story the Census tells us: the comparative absence of significant numbers of immigrants, especially recent immigrants, in mid-sized cities and smaller towns in Ontario. 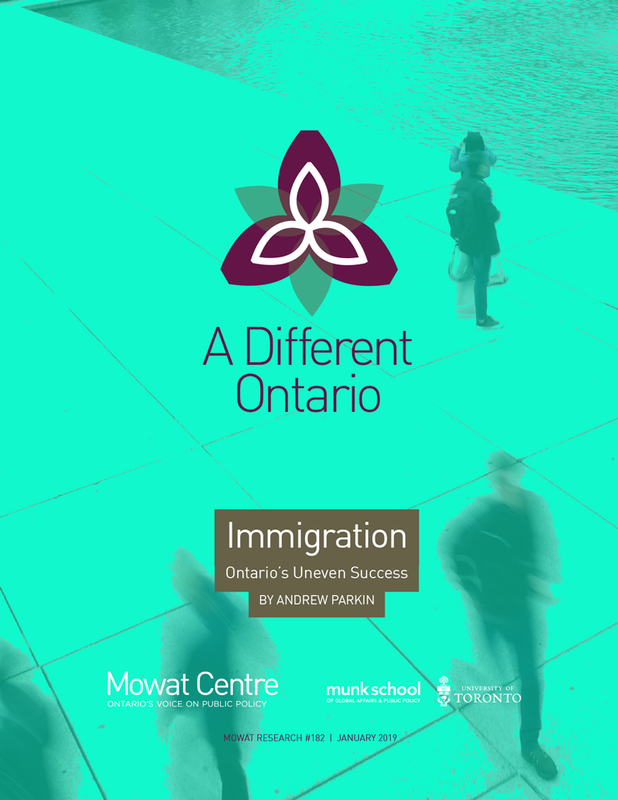 This report warns that many of these Ontario communities are not able to attract immigrants in the numbers needed to offset their aging populations. The data also show that while many immigrants in Ontario have above-average labour-market outcomes in terms of employment and earnings, some are not faring as well. Most notably, immigrants who arrived as adults tend to face greater labour-market challenges than those who arrived as children, female immigrants tend to face a less forgiving labour market than their male counterparts, and immigrants with a university education face greater obstacles integrating into the labour market than non-immigrants with similar levels of education. These findings have a number of implications for public policy, detailed in the report. They suggest that Ontario’s immigration strategy should have a more targeted geographic focus, working in tandem with the province’s regional economic development strategies and with interested municipal governments to encourage more immigrants to settle in Ontario’s medium- and smaller-sized communities. In addition, government should employ a suite of targeted initiatives to help immigrants better integrate into the workforce – and to help employers better identify, evaluate and bring the most out of the skills and abilities that immigrants bring with them.